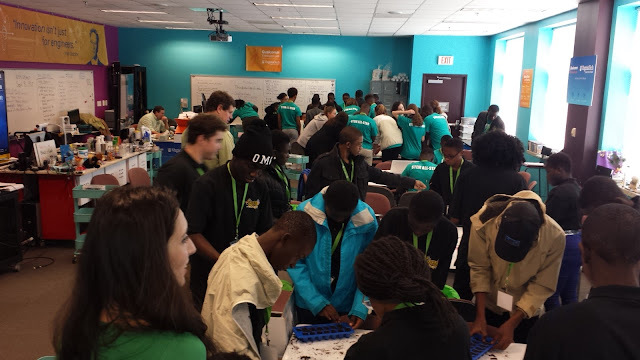 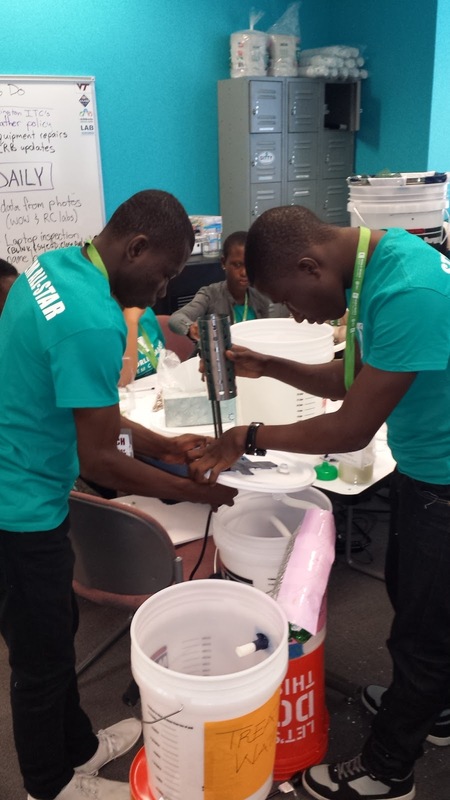 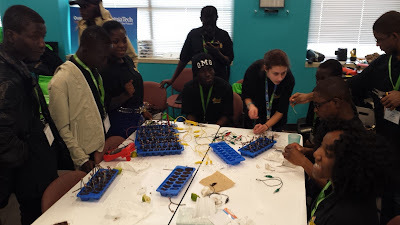 On Friday, March 17, students from Africa (Ghana) and partnering students from D.C. area schools participated in more than nine hours of interactive sessions at the Lab. They learned about the kinds of programs that colleges and universities offer, explored a wide range of technical careers, and benefited from hands-on coaching by Thinkabit Lab research faculty on how they could improve their prototypes. They also practiced their presentations together for the first time for the judging event on Saturday at the Omni Shoreham Hotel in Washington, D.C.